The divine right of kings or divine right is a political and religious doctrine of royal and political legitimacy. It asserts that a monarch is subject to no earthly authority, deriving the right to rule directly from the will of God. The king is thus not subject to the will of his people, the aristocracy, or any other estate of the realm, including (in the view of some, especially in Protestant countries or during the reign of Henry VIII of England) the Catholic Church. It is especially favored and promoted by unjust kings, because according to this doctrine, only God can judge an unjust king. The doctrine implies that any attempt to depose the king or to restrict his powers runs contrary to the will of God and may constitute a sacrilegious act. It is often expressed in the phrase "by the Grace of God," attached to the titles of a reigning monarch. The remote origins of the theory are rooted in the medieval idea that God had bestowed earthly power on the king, just as God had given spiritual power and authority to the church, centering on the pope. The immediate author of the theory was Jean Bodin, who based it on the interpretation of Roman law. With the rise of nation-states and the Protestant Reformation, the theory of divine right justified the king's absolute authority in both political and spiritual matters. The theory came to the fore in England under the reign of James I of England (1603–1625, also known as James VI of Scotland 1567–1625). Louis XIV of France (1643–1715) strongly promoted the theory as well. The Scots textbooks of the divine right of kings were written in 1597–98 by James VI of Scotland before his accession to the English throne. His Basilikon Doron, a manual on the powers of a king, was written to edify his four-year-old son Henry Frederick that a king "acknowledgeth himself ordained for his people, having received from the God a burden of government, whereof he must be countable." 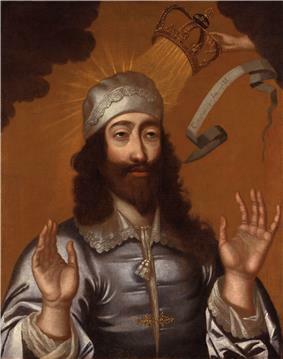 James I based his theories in part on his understanding of the Bible. The state of monarchy is the supremest thing upon earth, for kings are not only God's lieutenants upon earth and sit upon God's throne, but even by God himself they are called gods. There be three principal [comparisons] that illustrate the state of monarchy: one taken out of the word of God, and the two other out of the grounds of policy and philosophy. In the Scriptures kings are called gods, and so their power after a certain relation compared to the Divine power. Kings are also compared to fathers of families; for a king is truly parens patriae [parent of the country], the politic father of his people. And lastly, kings are compared to the head of this microcosm of the body of man. James' reference to "God's Lieutenants" is apparently a reference to the controversial text in Romans 13, where Paul refers to "God's ministers." (1) Let every soul be subject unto the higher powers. For there is no power but of God: the powers that be are ordained of God. (2) Whosoever therefore resisteth the power, resisteth the ordinance of God: and they that resist shall receive to themselves damnation. (3) For rulers are not a terror to good works, but to the evil. Wilt thou then not be afraid of the power? do that which is good, and thou shalt have praise of the same: (4) For he is the minister of God to thee for good. But if thou do that which is evil, be afraid; for he beareth not the sword in vain: for he is the minister of God, a revenger to execute wrath upon him that doeth evil. (5) Wherefore ye must needs be subject, not only for wrath, but also for conscience sake. (6) For this cause pay ye tribute also: for they are God's ministers, attending continually upon this very thing. (7) Render therefore to all their dues: tribute to whom tribute is due; custom to whom custom; fear to whom fear; honour to whom honour. The conception of ordination brought with it largely unspoken parallels with the Anglican and Catholic priesthood, but the overriding metaphor in James's handbook was that of a father's relation to his children. "Just as no misconduct on the part of a father can free his children from obedience to the fifth commandment", James also had printed his Defense of the Right of Kings in the face of English theories of inalienable popular and clerical rights. The divine right of kings, or divine-right theory of kingship, is a political and religious doctrine of royal and political legitimacy. It asserts that a monarch is subject to no earthly authority, deriving his right to rule directly from the will of God. The king is thus not subject to the will of his people, the aristocracy, or any other estate of the realm, including (in the view of some, especially in Protestant countries) the church. A weaker or more moderate form of this political theory does hold, however, that the king is subject to the church and the pope, although completely irreproachable in other ways; but according to this doctrine in its strong form, only God can judge an unjust king. The doctrine implies that any attempt to depose the king or to restrict his powers runs contrary to the will of God and may constitute a sacrilegious act. One passage in scripture supporting the idea of divine right of kings was Romans 13. Martin Luther, when urging the secular authorities to crush the Peasant Rebellion of 1525 in Germany in his Against the Murderous, Thieving Hordes of Peasants, based his argument on St. Paul's Epistle to the Romans 13:1–7. It is related to the ancient Catholic philosophies regarding monarchy, in which the monarch is God's vicegerent upon the earth and therefore subject to no inferior power. However, in Roman Catholic jurisprudence, the monarch is always subject to natural and divine law, which are regarded as superior to the monarch. The possibility of monarchy declining morally, overturning natural law, and degenerating into a tyranny oppressive of the general welfare was answered theologically with the Catholic concept of extra-legal tyrannicide, ideally ratified by the pope. Until the unification of Italy, the Holy See did, from the time Christianity became the Roman state religion, assert on that ground its primacy over secular princes; however this exercise of power never, even at its zenith, amounted to theocracy, even in jurisdictions where the Bishop of Rome was the temporal authority. The Old Testament, in which God chose kings to rule over Israel, beginning with Saul who was then rejected by God in favor of David, whose dynasty continued (at least in the southern kingdom) until the Babylonian captivity. The New Testament, in which the first pope, St. Peter, commands that all Christians shall honour the Roman Emperor (1 Peter 2:13–20), even though, at that time, he was still a pagan emperor. St. Paul agreed with St. Peter that subjects should be obedient to the powers that be because they are appointed by God, as he wrote in his Epistle to the Romans 13:1-7. Likewise, Jesus Christ proclaims in the Gospel of Matthew that one should "Render unto Caesar the things which are Caesar's"; that is at first, literally, the payment of taxes as binding those who use the imperial currency (See Matthew 22:15–22). Jesus told Pontius Pilate that his authority as Roman governor of Judaea came from heaven according to John 19:10–11. The endorsement by the popes and the church of the line of emperors beginning with the Emperors Constantine and Theodosius, later the Eastern Roman emperors, and finally the Western Roman emperor, Charlemagne and his successors, the Catholic Holy Roman Emperors. The French Huguenot nobles and clergy, having rejected the pope and the Catholic Church, were left only with the supreme power of the king who, they taught, could not be gainsaid or judged by anyone. Since there was no longer the countervailing power of the papacy and since the Church of England was a creature of the state and had become subservient to it, this meant that there was nothing to regulate the powers of the king, and he became an absolute power. In theory, divine, natural, customary, and constitutional law still held sway over the king, but, absent a superior spiritual power, it was difficult to see how they could be enforced, since the king could not be tried by any of his own courts. Some of the symbolism within the coronation ceremony for British monarchs, in which they are anointed with holy oils by the Archbishop of Canterbury, thereby ordaining them to monarchy, perpetuates the ancient Roman Catholic monarchical ideas and ceremonial (although few Protestants realize this, the ceremony is nearly entirely based upon that of the Coronation of the Holy Roman Emperor). However, in the UK, the symbolism ends there, since the real governing authority of the monarch was all but extinguished by the Whig revolution of 1688–89 (see Glorious Revolution). The king or queen of the United Kingdom is one of the last monarchs still to be crowned in the traditional Christian ceremonial, which in most other countries has been replaced by an inauguration or other declaration. The concept of divine right incorporates, but exaggerates, the ancient Christian concept of "royal God-given rights", which teach that "the right to rule is anointed by God", although this idea is found in many other cultures, including Aryan and Egyptian traditions. In pagan religions, the king was often seen as a kind of god and so was an unchallengeable despot. The ancient Roman Catholic tradition overcame this idea with the doctrine of the "Two Swords" and so achieved, for the very first time, a balanced constitution for states. The advent of Protestantism saw something of a return to the idea of a mere unchallengeable despot. When there is no recourse to a superior by whom judgment can be made about an invader, then he who slays a tyrant to liberate his fatherland is [to be] praised and receives a reward. On the other hand, Aquinas forbade the overthrow of any morally, Christianly and spiritually legitimate king by his subjects. The only human power capable of deposing the king was the pope. The reasoning was that if a subject may overthrow his superior for some bad law, who was to be the judge of whether the law was bad? If the subject could so judge his own superior, then all lawful superior authority could lawfully be overthrown by the arbitrary judgement of an inferior, and thus all law was under constant threat. Towards the end of the Middle Ages, many philosophers, such as Nicholas of Cusa and Francisco Suarez, propounded similar theories. The Church was the final guarantor that Christian kings would follow the laws and constitutional traditions of their ancestors and the laws of the presumptive god and of justice. Similarly, the Chinese concept of Mandate of Heaven required that the emperor properly carry out the proper rituals, consult his ministers, and made it extremely difficult to undo any acts carried out by an ancestor. Les rois règnent par moi, dit la Sagesse éternelle: 'Per me reges regnant'; et de là nous devons conclure non seulement que les droits de la royauté sont établis par ses lois, mais que le choix des personnes est un effet de sa providence. Kings reign by Me, says Eternal Wisdom: 'Per me reges regnant' [in Latin]; and from that we must conclude not only that the rights of royalty are established by its laws, but also that the choice of persons [to occupy the throne] is an effect of its providence. In early Mesopotamian culture, kings were often regarded as deities after their death. Shulgi of Ur was among the first Mesopotamian rulers to declare himself to be divine. This was the direct precursor to the concept of "Divine Right of kings", as well as in the Egyptian and Roman religions. In China and East Asia, rulers justified their rule with the philosophy of the Mandate of Heaven, which, although similar to the European concept, bore several key differences. While the divine right of kings granted unconditional legitimacy, the Mandate of Heaven was dependent on the behaviour of the ruler, the Son of Heaven. Heaven would bless the authority of a just ruler, but it could be displeased with a despotic ruler and thus withdraw its mandate, transferring it to a more suitable and righteous person. This withdrawal of mandate also afforded the possibility of revolution as a means to remove the errant ruler; revolt was never legitimate under the European framework of divine right. In China, the right of rebellion against an unjust ruler had been a part of the political philosophy ever since the Zhou dynasty, whose rulers had used this philosophy to justify their overthrow of the previous Shang dynasty. Chinese historians interpreted a successful revolt as evidence that the Mandate of Heaven had passed on to the usurper. In Japan, the Son of Heaven title was less conditional than its Chinese equivalent. There was no divine mandate that punished the emperor for failing to rule justly. The right to rule of the Japanese emperor, descended from the sun goddess Amaterasu, was absolute. The Japanese emperors traditionally wielded little secular power; generally, it was the duty of the sitting emperor to perform rituals and make public appearances, while true power was held by regents, high-ranking ministers or even retired emperors depending on the time period. In the Malay Annals, the rajas and sultans of the Malay States (today Malaysia, Brunei and Philippines) as well as their predecessors, such as the Indonesian kingdom of Majapahit, also claimed divine right to rule. The sultan is mandated by God, and thus is expected to lead his country and people in religious matters, ceremonies as well as prayers. This divine right is called Daulat, and although the notion of divine right is somewhat obsolete, it is still found in the phrase Daulat Tuanku that is used to publicly acclaim the reigning Yang di-Pertuan Agong and the other sultans of Malaysia. The exclamation is similar to the European "Long live the King", and often accompanies pictures of the reigning monarch and his consort on banners during royal occasions. In Indonesia, especially on the island of Java, the sultan's divine right is more commonly known as the wahyu, or 'revelation', but it is not hereditary, and can be passed on to distant relatives. "Having noticed by the marks (on his body) that Arulmozhi was the very Vishnu" in reference to the Emperor Raja Raja Chola I. Historically, many notions of rights were authoritarian and hierarchical, with different people granted different rights, and some having more rights than others. For instance, the right of a father to respect from his son did not indicate a right from the son to receive a return from that respect; and the divine right of kings, which permitted absolute power over subjects, did not leave a lot of room for many rights for the subjects themselves. In contrast, modern conceptions of rights often emphasize liberty and equality as among the most important aspects of rights, for example in the American Revolution and the French Revolution. In the sixteenth century, both Catholic and Protestant political thinkers began to question the idea of a monarch's "divine right". The Spanish Catholic historian Juan de Mariana put forward the argument in his book De rege et regis institutione (1598) that since society was formed by a "pact" among all its members, "there can be no doubt that they are able to call a king to account". Mariana thus challenged divine right theories by stating in certain circumstances, tyrannicide could be justified. Cardinal Robert Bellarmine also "did not believe that the institute of monarchy had any divine sanction" and shared Mariana's belief that there were times where Catholics could lawfully remove a monarch. Among groups of English Protestant exiles fleeing from Queen Mary I, some of the earliest anti-monarchist publications emerged. "Weaned off uncritical royalism by the actions of Queen Mary… The political thinking of men like Ponet, Knox, Goodman and Hales." In 1553, Mary I, a Roman Catholic, succeeded her Protestant half-brother, Edward VI, to the English throne. Mary set about trying to restore Roman Catholicism by making sure that: Edward's religious laws were abolished in the Statute of Repeal Act (1553); the Protestant religious laws passed in the time of Henry VIII were repealed; and the Revival of the Heresy Acts were passed in 1554. The Marian Persecutions began soon afterwards. In January 1555, the first of nearly 300 Protestants were burnt at the stake under "Bloody Mary". When Thomas Wyatt the younger instigated what became known as Wyatt's rebellion, John Ponet, the highest-ranking ecclesiastic among the exiles, allegedly participated in the uprising. He escaped to Strasbourg after the Rebellion's defeat and, the following year, he published A Shorte Treatise of Politike Power, in which he put forward a theory of justified opposition to secular rulers. 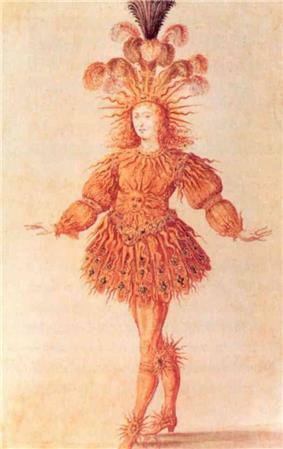 "Ponet's treatise comes first in a new wave of anti-monarchical writings… It has never been assessed at its true importance, for it antedates by several years those more brilliantly expressed but less radical Huguenot writings which have usually been taken to represent the Tyrannicide-theories of the Reformation". Ponet's pamphlet was republished on the eve of King Charles I's execution. According to U.S. President John Adams, Ponet's work contained "all the essential principles of liberty, which were afterward dilated on by Sidney and Locke", including the idea of a three-branched government. In due course, opposition to the divine right of kings came from a number of sources, including poet John Milton in his pamphlet The Tenure of Kings and Magistrates, and Thomas Paine in his pamphlet Common Sense. Probably the two most famous declarations of a right to revolution against tyranny in the English language are John Locke's Essay concerning The True Original, Extent, and End of Civil-Government and Thomas Jefferson's formulation in the United States Declaration of Independence that "all men are created equal". ^ A speech to parliament (1610). ^ that is, the commandment: "Honor your father ..." etc., which is the fifth in the reckoning usual among Jewish, Orthodox, and Protestant denominations, but to be according to the law, yet is he not bound thereto but of his good will ..."